Laurence Roberts joined Gulf Coast JFCS as the Chief Information Officer in August 2008. Mr. Roberts is responsible for supervising eight IT staff members and managing the information systems throughout Gulf Coast JFCS. 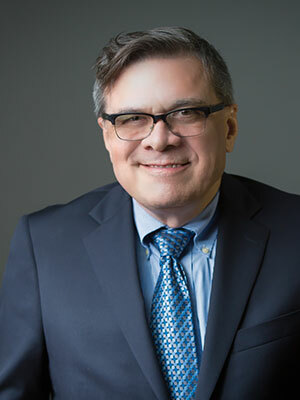 Prior to joining Gulf Coast JFCS, Mr. Roberts served as Chief Information Officer for large social service agencies in Florida and Indiana during a career spanning more than 25 years. Mr. Roberts began working with the Netsmart product line in 1990 and has implemented and supported Avatar products for more than five years. He is an active member of the Netsmart community, currently serving as co-chair of the Avatar National Technical Committee. He is past Chair of the Florida and National CMHC Users Groups and a Past Chair of the Florida Council Information Technology Workgroup. Mr. Roberts has a Bachelor of Science in Management from Michigan State University and a Master’s degree in Information Systems from Ball State University. He is an Adjunct Professor of Informational Systems at the University of South Florida and is a frequent presenter at national and regional conferences.